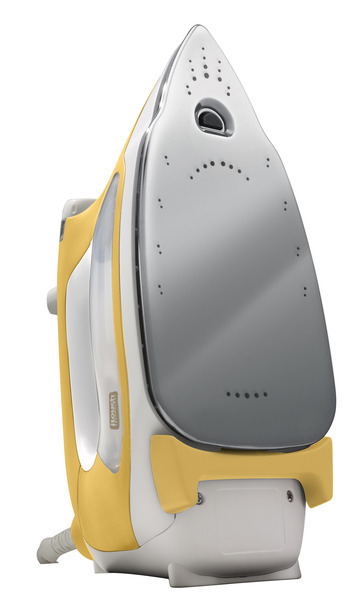 Features include premium stainless steel soleplate with large pressing surface; premium bead blast finish; optimized iTouch technology with extra-wide scorch guards for maximum stability; pro-level extended safety auto-shut off; auto-lift. 1800 watts with 12 ft. long cord. Limited 1 year warranty. TG1600 YELLOW, 1800 Watts, Auto Lift Legs, 30 Minute Auto Off, Chromium Stainless Steel Soleplate, 12' Power Cord, Weighs 4 Pounds. 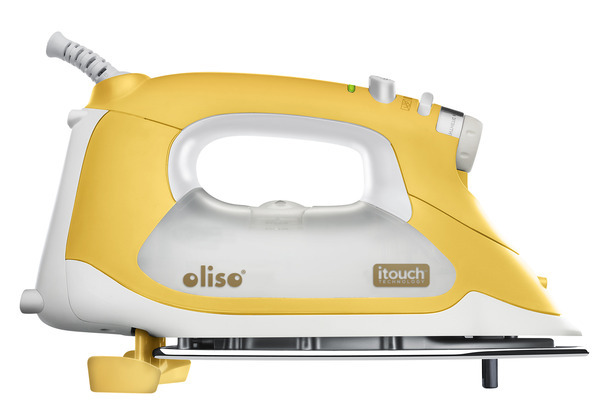 The Oliso® TG1600 Pro features Oliso's patented iTouch® technology. Simply touch the handle and the iron lowers, ready to work. 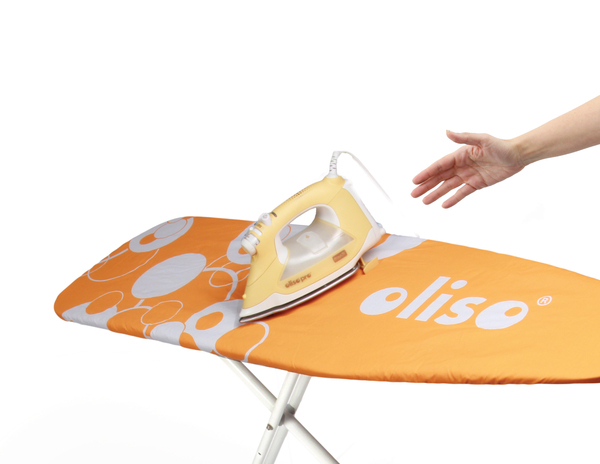 Take your hand off and the patented scorchguards lift the iron off the board preventing scorches, burns, and tipping. 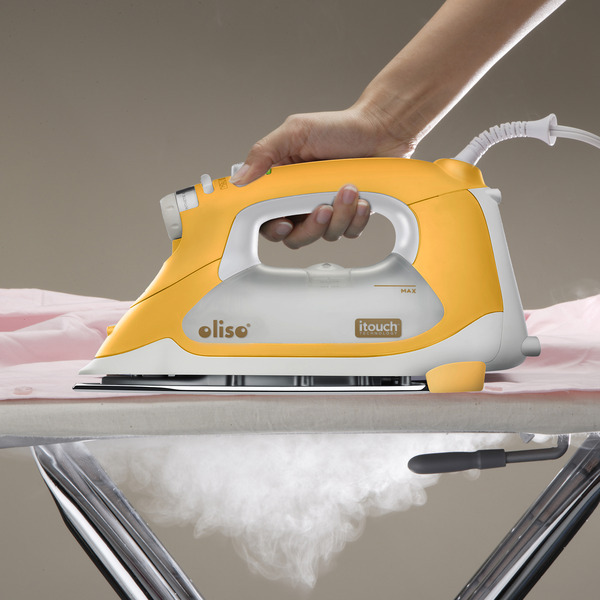 Less strain and 30% time savings are added benefits to this Smart Iron's 1800 watts of power and horizontal or vertical bursts of steam. 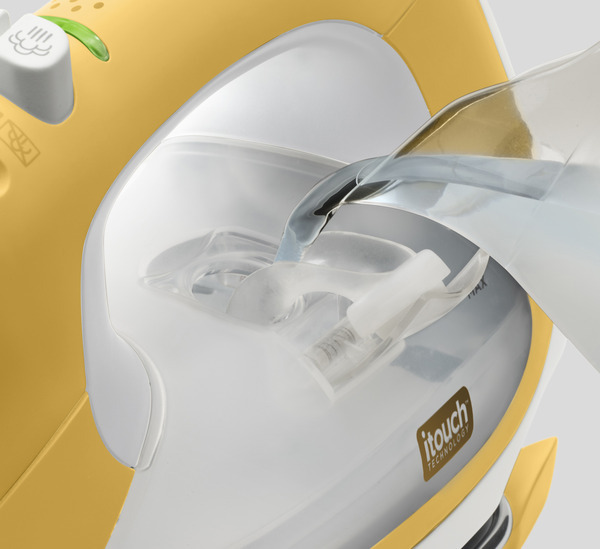 The TG1600 Pro features a 30-minute extended auto-shut off for sewers and quilters, a 12.7 oz side fill tank, a beadblast stainless steel soleplate, flat pressing surface, detailer tip, and a 12-foot cord for full range of motion. I bought the Oliso TG-1600 for my wife about three years ago, but we both use it. 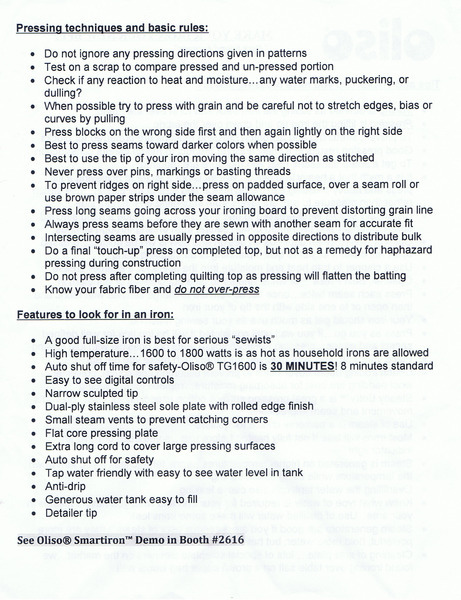 This is as great as an iron can get. We LOVE the auto lift legs. This is a fantastic feature. My wife does a lot of sewing, so she really likes that it has a 30 minute auto off. I especially like the powerful steam burst feature. I'm usually in a hurry, ironing a shirt to wear to work. So, the steam, along with the quick heat up is wonderful. Let me add a little more about the iron's unique auto lift legs. It's very convenient. 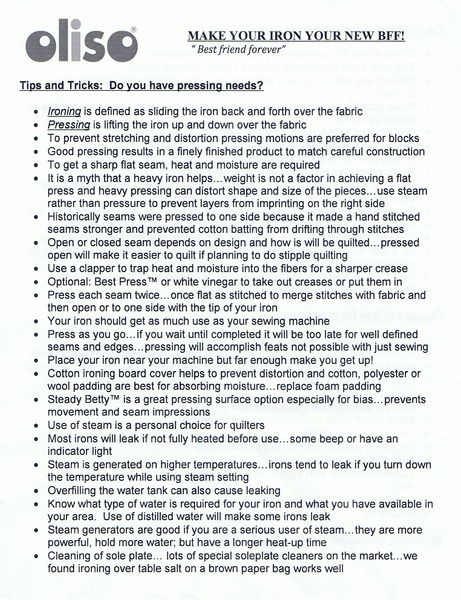 It's a safety feature, because the iron stays low and flat, reducing the possibility of tipping over. And speaking as a guy, auto legs is a cool "gadgety" feature that makes the iron fun to use. 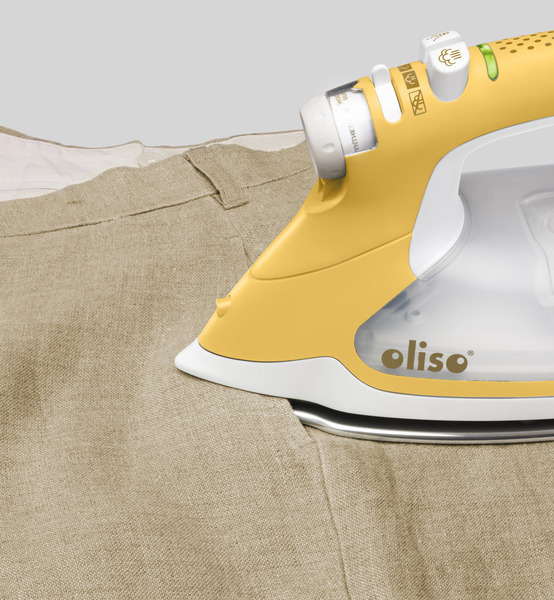 It's the coolness factor that makes this the greatest iron ever. 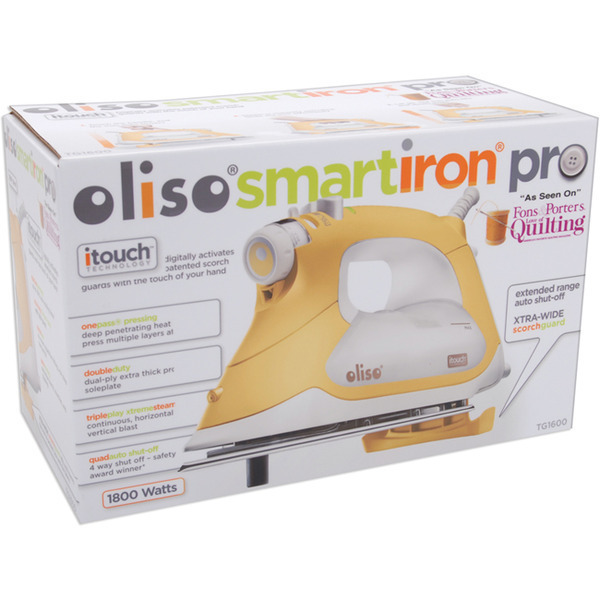 I have ordered sewing machines,sergers,bobbin winder and now this GREAT Iron. Totally satisfied customer. I bought a Oliso TG 1200 in Victoria BC Canada at Costco [demo] 2 years ago. Twice while heating up it legged down on the ironing board without me touching it. Never leave the room while the iron is plugged in! 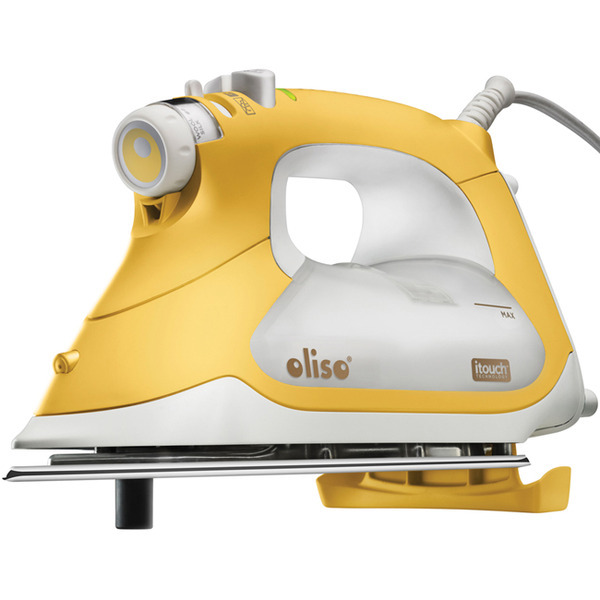 We decided to order the Oliso TG-1600 for the regular price with the warranty from Allbrands. I appreciate your explaining the benefit of the warranty. My wife and I have come to trust Allbrands over the years. That confidence far outweighs the few dollars we could save with another company. I could have gotten this somewhere else but decided to get it here because of the service and the warranty that came with it. I loove Oliso Irons this is my second one and an upgrade from the tg1000. So far it is great. A little different but not much. Thanks for another great sale. Thank you very much. I placed my order. I love your company. This is my third order with you and I'm enjoying the excellent prices and services. I recommend you every chance I get.